It's lent and that's the time that we Catholics give things up. I am giving up my usual Bacardi and pop, but this year I've decided to add to that list. I've been finding myself in a bit of a fitness rut lately. It's cold outside. Do I really want to go back out after I get home from work to go to yoga class? Do I really want to go on the treadmill when I dislike it so much because it's too cold to walk outside? Do I really want to get out of my nice, warm bed at 5:00 in the morning to workout before school? Well, guess what? This lent, the answer is yes! I am giving up excuses! 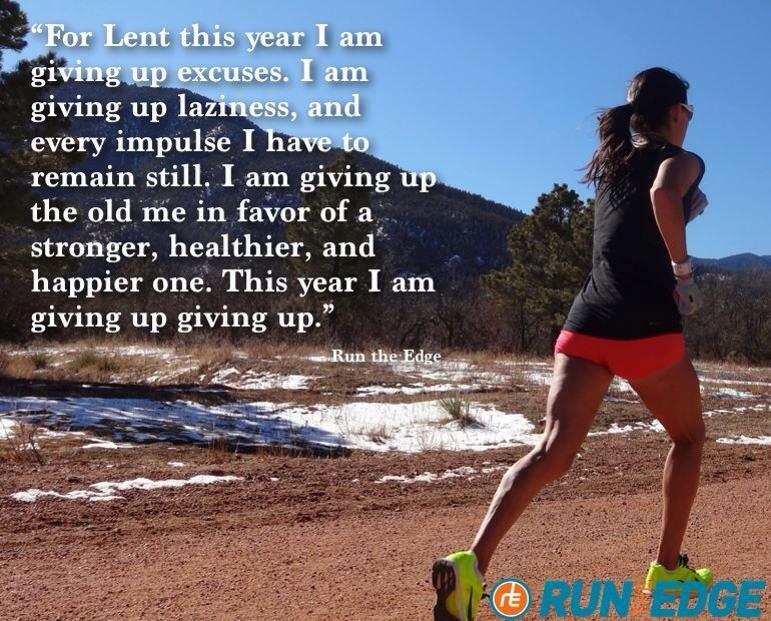 No excuses allowed this lent. I am walking, I am going to yoga and I am getting out of bed early to workout. I paid good money for the new Beachbody Hammer and Chisel program and I'm getting back to it. I even decided after finding nobody willing to walk the Indianapolis Mini Marathon with me that I was going to do my own right here at home. The fun thing that happened because of that decision is that several of my classmates in different parts of the country are going to do it too. We are having our own virtual half marathon. That is going to be so much fun. I'm even going to look into getting us finisher medals. We couldn't have decided this a minute too soon though. According to my Hal Higdon training plan, we need to start training on Tuesday the 16th. That's just three days away. So, that's what I'm doing for lent. I'm excited to have a plan and I'm thrilled to be giving up excuses. It's time to do this and stick to it. I've got friends to be accountable to. I've got me to be accountable to. I've got God to be accountable to. I can do this. It's all good! !